Austin avant-jazz guitarist Jon Lundbom and his band Big Five Chord will release their new Hot Cup Records boxed set, 2016:EPs, at this concert. The band features the world-famous Balto Exclamationpoint on saxophones and "Philly" Dan Monaghan on drums. 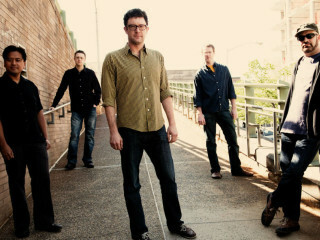 Chris Cogburn and Houston's Etched in the Eye will be the opening act.